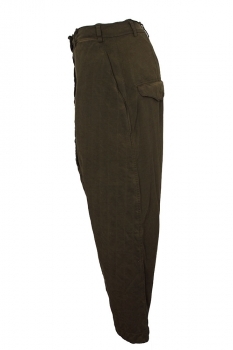 Rundholz Dip Collection, over-dyed, very low crotch, padded trousers in khaki colour. Belt loops. Waistband with doubled layer, rolled raw edge finish. Long fly with 7 button fastening, buttons show. 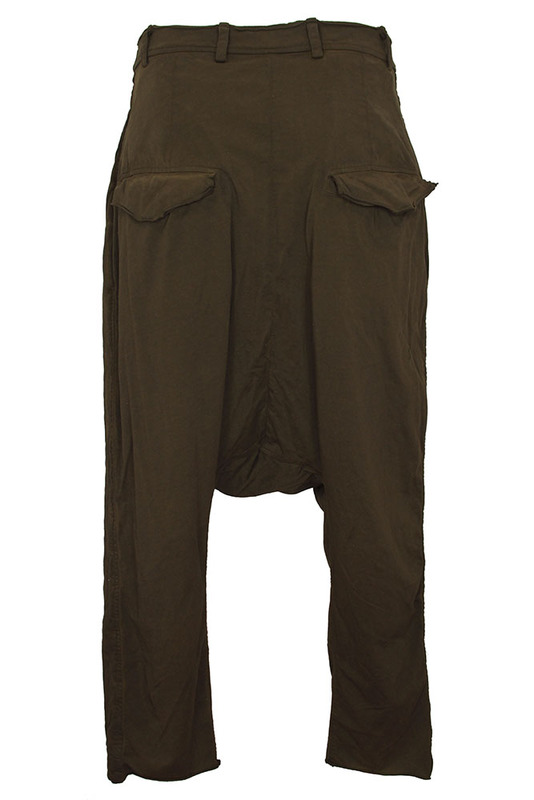 2 side pockets with finished trim and 2 rear pockets with shaped flaps and doubled layer , rolled raw edged trim. 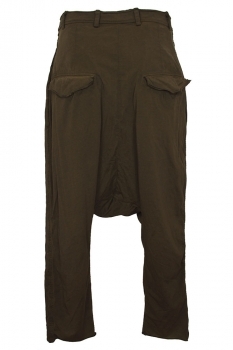 The trousers are lightly quilted at the front, stretch jersey at the rear and they are fully lined.